In 1581, an Italian dancing master, by the name of Balthasar de Beaujoyleux (Baltarazini), a violinist, who changed his name after going to France (court of Catherine de Medici), organized royal entertainments. He requested special music, lyrics, costumes, and scenery for a Ballet Comique. The most famous of these courtly dances was given the name: Comiques de la Reine. It seems to have been structured over a great length of time (ten or so hours) and the location is also questionable, but it did occur in France. After this politically successful and lavish expenditure, the court of the King of France, became the home of the development of ballet. Italian performances were developing into early forms of opera, ballets on horseback were popular in German courts, and in England, the Masque, a spectacle of verse and decoration highlighted dance. You can see some working examples of these in the series, The Tudors. French ballet was dramatic, romantic and extravagant. Each courts’ expression of the dance was mirrored in its own personality. The main aspect controlling the effects of these productions was the ability of the dancers themselves, usually the royal personages, and the dances had to be accessible for performers with less training. Because not much training was possible or desirable by the royals, there was much emphasis in the music, lighting, scenery and costumes, and theatrics and less actual dancing. So, lyrics and verse, music and acting were the chief means of expression in these productions. Even with all of this, movement was the medium and it literally took our viewers someplace else, to exotic lands, gave impressions, attempted to realize historical themes and above all drama and romance were highlighted. Between 1643 and 1715, no accident-the life span of Louis XIV, a new period of dignity and artistry for the ballet was marked. The king was an able social dancer and all court personages who mattered were by now, privately tutored in the art of ballet, and more importantly perhaps, he was a great patron of the arts. His musician, Jean Babtiste Lully, worked with the king to integrate music and drama to form a whole new presentation of ballet. Artists and poets were seconded to include their work toward the entertainment and an academy of music and dance was established to perpetuate and improve modern dancing. The Ecole de Danse of The Paris Opera Ballet was the product of this alliance and was the second great school of dancing, established by Lully within the confines of his musical organization. 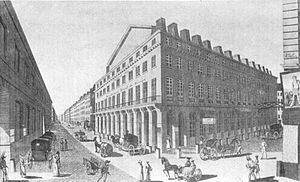 Today, however, the original academie continues in its mission, to train artists in myriad ways of dancing for performance of the great French classics, as well as modern works of theater, dance and music as the Paris Conservatoire, which is still the first actual academy of dancing. The phrase “modern works” means a lot, and is continually changing. Meeting in one of the rooms of King Louis’ palace beforehand, for several years, a group of dancing masters (which became the early conservatoire-The Academie Royale de Musique et de Danse) improved the art. These original 13 members were trained as professional dancers, and from them stem all of the future dancers of the western and eastern ballet culture. Lully was the first director of the Opera, as it was popularly known, and the public training of dancers from amateur to professional, began. 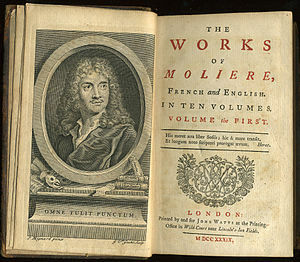 It’s first production, called Pomone, with dance interludes, choreographed by Charles-Louis (Pierre) Beauchamps (1631-1705), also a dancer, took place on a converted tennis court. In these productions, and those to ensue, earthy characters could be played by these non-aristocrats, but noble characters had to be played by the monarchy. This model is still clearly visible today, where in most classical ballet, you have the male and female principals, danseuse and danseur nobles, for the pinnacle roles, as stars, and the more earthy (and interesting) parts played by more versatile dancers in the corps, or soloists-still, well-trained, over posers, bystanders and the corps. By 1681, the all-male rule had changed. Mademoiselle de la Fontaine (1655-1738), appeared in a Beauchamps ballet (he as Mars), as the ballerina of Lully’s opera, Le Triomphe de L’Amour, still performed by the great classical ballet theaters. His production did not include only one, but four females in roles. Although not much is known of La Fontaine, her likeness adorns a gallery of portraits of France’s famous ballerinas in L’Opera. Either these lead dancer’s skill, graces, or perhaps, influential patronage, gave them precedence over their sister dancers. She was hailed, as the “Queen of Dance,” but since she was the only one, who can you really compare her to? Thus publicity of dance had already begun. For these first new choreographers and dancers, challenges included creating ballets for the stage, rather than the private palaces of kings. A great new theater, The Paris Opera, was built, and turned over to Lully, by the king, for the express performance of these soon-to be-created works. These were to be for the amusement and edification of the public. Greater pomp and circumstance could not have begun or existed anywhere else, for perhaps no other king was so large-minded and extravagant, so despite Louis X IVs’ other reputation, we can thank him for the arts, for the theater and for the music, and for the dance and acting that were to come and have turned into the entertainment of ballet we see today. It has been a long journey, and an expensive one. A technique called ‘ballet’ was then pronounced, a proscenium arch was created on the stage, to allow dancers to be seen from only one direction, causing them to move and pose in such a way as to give the audience a view only of only what was in front and turnout, among others affects, was established. Turnout, a principle long in use by now (since before the late 1500’s) was given a prominent position and fundamental emphasis in a dancer’s training-meaning the turnout of the legs at the hip joint. Whether it was known by now, or not, that some ballet movement could only be achieved this way, is really not that well documented, or important, but the logic was simple. A dancer, wishing to face his audience, needed to move sideways as well as forwards and backwards, and for even greater visibility, he needed to lift his leg to the side, rather than to the front. It does appear somewhat comical in engravings from the time, but this was taken very seriously, and for good reasons. These movements were more easily achieved when the legs were rotated outward. Choreographers who had created ballets for smaller rooms, with floor patterns for the dancers, now shifted their study to dances including vertical space and large spaces and theater. The dance of elevation was conceived. Also, in 1661, the king’s finance minister, Nicholas Fouguet, presented a grand fete to honor King Louis, in an opening of a summer palace. 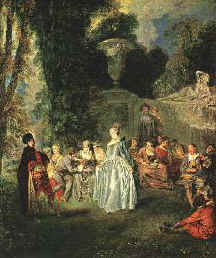 The housewarming’s entertainment was Moliere’s Les Facheaux, which qualifies as the first of the genre known as comedie-ballet. Favored, Moliere was employed by the king to develop the comedie-ballet further. The audiences had seen their comedies and their ballets separately. Now they could see the danced entrees that came between the play’s various acts as related to the playwrights scheme, rather than decorative diversions to cover the time actors needed to change costumes, although, these are still used today, even in ballets. So we have Lully, composer, Moliere, playwright, Baltarazini, Director/ballet master/violinist and Beauchamps, choreographer/dancer. 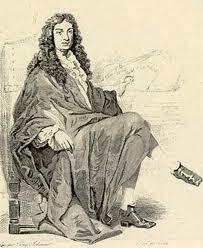 As superintendent of the king’s ballets, in the 1661 dance academy, Beauchamps is the father of ballet. He is also the author of the now-codified ballet starter alphabet of the first five positions, and possibly arm positions. As the king was now aged, he quit dancing in 1670, which allowed these principles the freedom to expand, and reduced the risk of offending the king, by training and placing those more adept to take the leads in the productions. 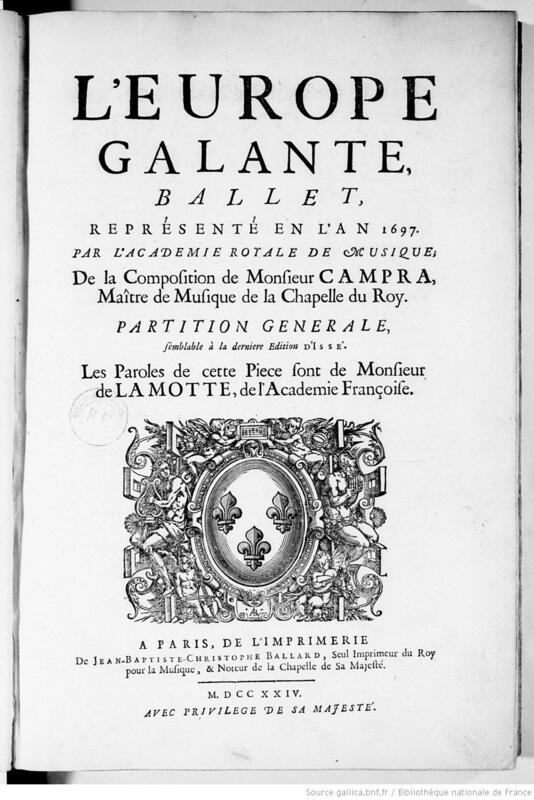 opera-ballet, L”Europe Galante (1697). It was so successful that it marked the attendance of theater-goers, for the dance, for not only the music, but, maybe even more-the dance. To increase the popularity further, it was suggested by the composer, to lengthen the dances and shorten the skirts of the female dancers. caper with the legs briefly closing and opening again in the air). All of these remain much as they were in Feuillet’s time, however, jetes are called ‘degages’ and ‘jetes’ by Vaganova students, (also ‘entrelaces’) and ‘tour jetes’ by Italians and Americans (such as Cecchetti and Balanchine students). Sissones are generally always called sissones by everyone and chasses as well. Entrechats constitute: entrechat quatre, entrechat trois, entrechat six (6 beats), and others, although there is some dispute as to whether the beat itself is counted or also the opening (as two). Semantics aside, the movement are similar, but the nuance and gesture, including epaulment does almost certainly vary by school. In most techniques, these are virtually the same, but degage turns (Vaganova) are called lame ducks (RAD). Some teachers will call the pas de chat, grand pas de chats, saute chat, or grand jetes, depending on the teacher (er, ballet master and choreographer). There are many differences in dancing terms, but more particularly the name of the move(s) associated with it, multiples and extensions of it, depending on the way the person explaining it learned it, and in some schools, they might just say, “Turn”. This is even more difficult to write, much harder to interpret, impossible to remember unless witnessed and demonstrated, and is a prime reason for learning to notate your own dances! Maybe more from history would exist accurately, if we could unravel it. Beyond that, we would have to agree. Some of these terms, were specifically excluded from ballroom (or social) dancing eventually, and were reserved especially for ballet dancers, or those with more training to execute them properly, but these dictionaries, you see, only represent a fraction of the meaning or possible meanings. Danse d’ecole came to not only represent the school of dancing, but the body language associated with it demonstrated by the students of it. Whew! It also serves as a synonym for ballet dancing in general. So after, you believe you know everything about ballet, you find you really know nothing with certainty at all. Though Feuillet’s writing included working from the five positions of the feet credited to Beauchamps, it was not until The Dancing Master (1725) by Pierre Rameau (1674-1748), a social dancing manual, was published, that they were formally documented and credited to Beauchamps. 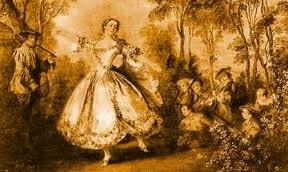 Rameau was dancing master to the Queen of Spain.